There has been all sorts of accolades heaped upon Manitoba Bisons women's hockey head coach Jon Rempel this season. 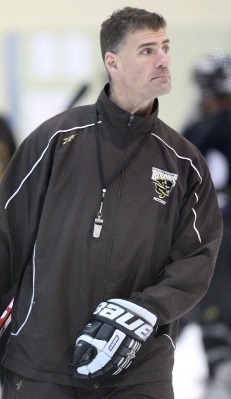 He was named Canada West Coach of the Year. He was named the U SPORTS Coach of the Year. He guided his squad to the Canada West Championship and the U SPORTS National Championship. He's had himself a pretty good four months into 2018 thus far, but I'll be honest in saying that I don't mind someone bestowing another honour on him. He puts his players and team before himself at every point, so it might be appropriate for Jon to finally start enjoying the fruits of his labour this season with all these awards! There was another one added today, and I wasn't even aware of this award, so congratulations to Jon on earning this accolade! Apparently, Global News in Winnipeg hands out a Coach of the Month honour every month to a deserving coach. I know that a couple of stations do Athletes of the Month, but learning that Global News has a coach's nod was news to me! In any case, here's Jon after being named the April 2018 Coach of the Month! Atta boy, Coach! You deserve the accolades. You coached this team superbly this season, and the awards and recognition that come with them were earned. Congratulations on another accolade! There is never Toronto hockey chatter on this blog, but I felt that needed to change as it was reported today that the first tee times were booked! 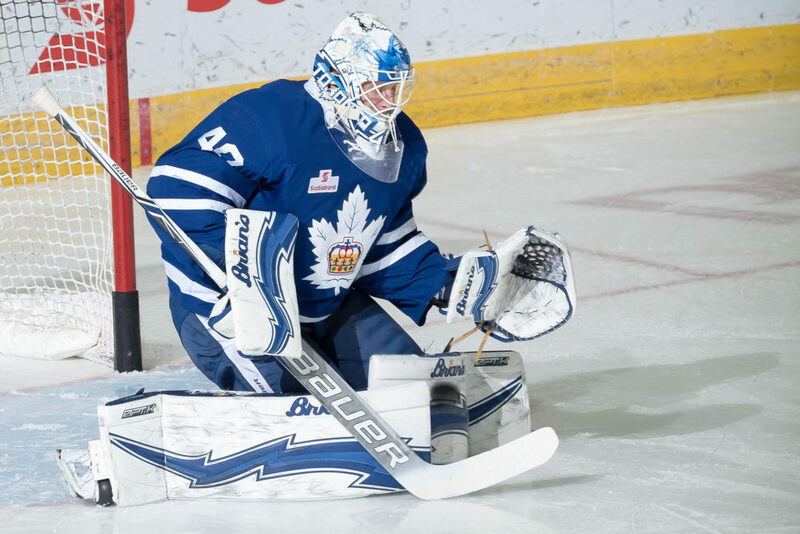 Ok, all joking aside, the AHL's Toronto Marlies had another outstanding year as they set a number of franchise records this season, and goaltender Garret Sparks was a big reason for that success. He was named as the AHL's top goaltender this season, and today we saw a reason why that accolade was bestowed upon him. The Marlies finished the season with a record of 54-18-2-2 which put them first-overall in the AHL. Their league-best 54 wins was seven wins better than Lehigh Valley who was second overall, and they were the only team with a points percentage above .700, finishing with a .737 points percentage. In doing all this, the Marlies won the MacGregor Kilpatrick Trophy for being the league's best team in the regular season, and they entered the AHL Calder Cup Playoffs against the Utica Comets. Utica, for what it's worth, finished in fourth-place in the North Division, some 24 points back of Toronto. To say they came in as major underdogs in this best-of-five series would be accurate as no one really gave them a shot at winning one game, let alone two games, against the league's best team. Well, it was Game Five today in that best-of-five series with both teams looking to advance, and Garret Sparks decided to step his game up in a big way. Garret Sparks just made that save with his bare hand! As you can see from the video, the Marlies have a slim 1-0 lead late in the first period when Cam Darcy found Reid Boucher on the two-on-one. Boucher's shot was stopped with a fantastic save by Sparks, but the rebound was found by Darcy who put it on net and the puck was stopped by Sparks' bare right hand! Is there any doubt that he might be the best netminder in the AHL with that kind of never-give-up? That save not only preserved Toronto's 1-0 lead, but it helped them go into the intermission with the lead. It would be a lead they would never relinquish as Sparks had himself one heckuva night in a 4-0 shutout victory over the Comets to advance to the second round of the Calder Cup Playoffs. While the puck was truly "caught" barehanded, that kind of robbery by Sparks off a rebound when he was already down is rarely seen. If Sparks keeps playing like that, Toronto may indeed have a championship to celebrate this spring! No one asks how; they just ask how many. Well, in some cases, they ask how and tonight is one of those nights as the Winnipeg Jets - outplayed, outshot, out-possessed, out-everythinged - came away with a 4-1 victory over the Nashville Predators in Game One of the Central Division Final. It wasn't a pretty win by any means, and I doubt you'll find a Winnipeg Jet who would be celebrating that victory with more than a nod of acceptance that they have to be better in Game Two, but a win is a win and that's all that matters. 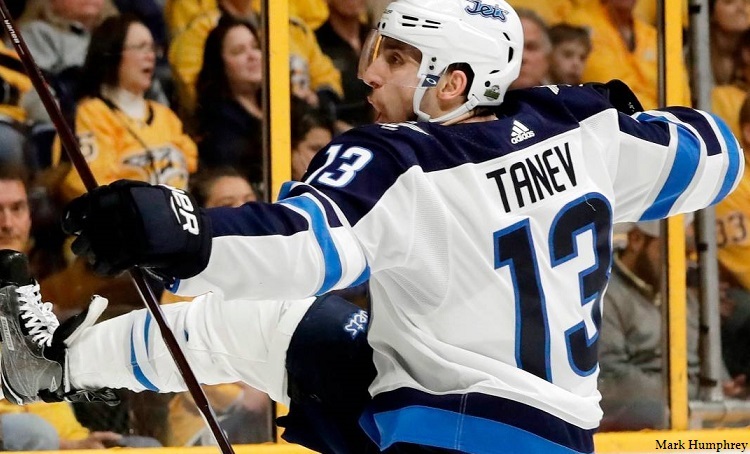 The Jets did what they've done throughout these playoffs in getting the first goal, and it was the above-pictured Brandon Tanev who chipped in a rebound past Rinne to open the scoring. The Jets spoke of the importance of getting rebound chances to beat Rinne on Monday, and they drew first blood by following that game plan. 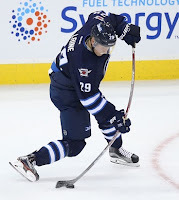 "You got to get some traffic to him and get some second and third opportunities," Jets forward Adam Lowry told The Globe and Mail's Judy Owen on Monday. Tanev followed that plan, and the Jets got a second goal off a rebound when Paul Stastny banged home a rebound in front of Rinne to make it 2-0 for the Jets. The Jets were opportunistic with their limited shots to that point, but a two-goal lead is better than being down a couple of goals. In saying that, Connor Hellebuyck, to that point, had made a bazillion or so saves to keep the Predators off the scoreboard, but the vast majority of those shots came from the outside with no traffic in front and very few second chances. Credit has to go to the Jets defenders and their backchecking forwards who kept the doorstep clear of yellow jerseys. Connor Hellebuyck will stop almost everything if he can see it, and he had great views of most shots tonight. Speaking of shots, he did stop 47 of them when all was said and done as Hellebuyck stole Game One for the Jets with his performance in the 4-1 victory. Yes, the Jets did score four goals, but the 48 shots that Hellebuyck saw had at least a half-dozen quality chances in there. Hellebuyck out-dueled Rinne in Game One, but I would expect Rinne and the Predators to come back in Game Two with teeth bared. The Jets lead the series 1-0. A win is a win, and Winnipeg has the early advantage. The Hockey Show, Canada's only campus-produced radio show that strictly talks hockey, returns tonight with a pile of people to talk to as the opening round of eliminations happened in both the NHL's Stanley Cup Playoffs and in the Survivor: NHL Playoffs contest sponsored by Lays and their Show Your Emotions contest. Seven interviews need to be conducted tonight as we prepare for Round Two which, conveniently, kicks off tonight. How about that Bruins-Maple Leafs game last night? Crazy end to a game that looked like anyone could win with one period to play. 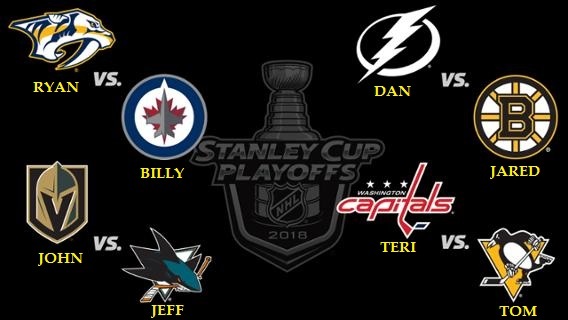 As it is, we'll get all that done and more on the show tonight as we eliminate seven more contestants from Survivor: NHL Playoffs Island on The Hockey Show! So who is still on the island, you ask? Here are the remaining contestants. Unlike Sandra Diaz-Twine from Survivor: Game Changers, these seven people - along with Barry and his Los Angeles Kings last week - are headed home: Amy and the Anaheim Ducks, Connor and the Minnesota Wild, Ethan and the New Jersey Devils, Derek and the Colorado Avalanche, Heather and the Philadelphia Flyers, Jason and the Columbus Blue Jackets, and Al and the Toronto Maple Leafs. All seven of these players and teams were eliminated over the last week and a bit, so we'll get as many on as we can tonight to do their exit interviews! For the remaining eight, it starts again tonight! For the remainder of the show, we'll squeeze in some KHL news, some Russian women's hockey league news, some Metal Ligaen news, we'll talk about the second round of games, the ending to the Bruins-Leafs game, and anything else we can squeeze in the hour tonight! How do I hear these exit interviews, you ask? The easiest way is for you to download the UMFM app on your phone or tablet. It's literally the easiest and most convenient way to listen to any of UMFM's great shows any time of the day, so go get it! Just follow this link on your iDevice or this link for your Android device and get the UMFM app! It's never been easier to tune into The Hockey Show or UMFM! Download the UMFM app today, and don't miss any of our great programming or shows! Of course, you can do the radio thing at 101.5 on the FM dial and you can always listen online via the UMFM website! 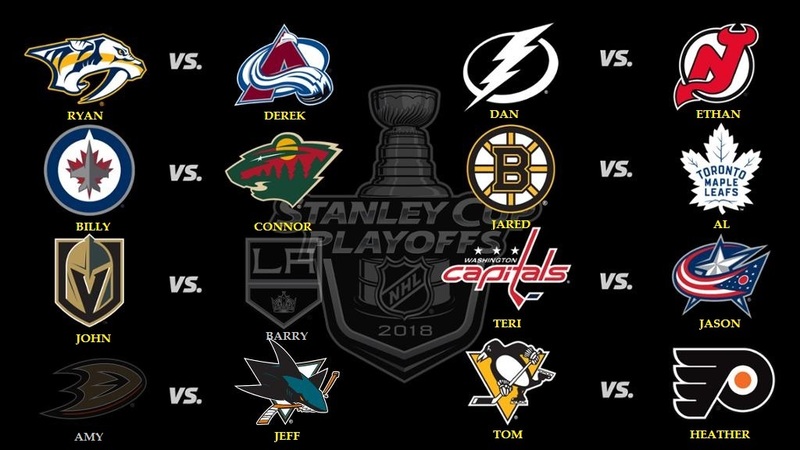 Tonight, Teebz and Beans eliminate seven more contestants from the Survivor: NHL Playoffs contest as they do exit interviews only on The Hockey Show found exclusively on 101.5 UMFM, on the UMFM app, on the UMFM.com web stream! The young lady hoisting the hardware and wearing the medal is Manitoba Bisons centre Lauryn Keen. Keen was named MVP at the U SPORTS National Champion, and she'll return to the Bisons next season for her senior season. Seeing her on the cover of Manitoba hockey publication Game On is pretty incredible, but she earned it! Lauryn and her teammates are incredible athletes who accomplished feats never seen before in these parts, but like most female athletes in post-secondary institutions there are serious discrepancies in the scholarship monies awarded between men's sports and women's sports. Bisons women's hockey is no different, and they could use some help to ensure that they continue to play at an exceptionally high level. 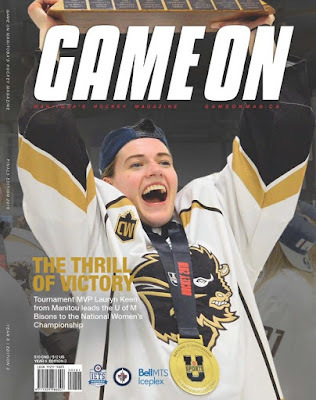 The Sharman family, whose daughter Alanna plays for the Bisons, established the Bison Women's Hockey Endowment Fund a couple of seasons ago, and they're always looking for people to contribute a few bucks here and there to help the fund grow to enable more women to play hockey with the Bisons at the U SPORTS level. Why am I posting this? Well, tax season in Canada is almost over. Maybe you're looking for something to invest in that's tax deductible for the 2019 tax season. If you are, any contributions to the Bison Women's Hockey Endowment Fund over $18 will earn you a tax receipt while your dollars will go to ensuring that a highly-skilled, intelligent, passionate, hockey-playing woman like Lauryn above attends university and has a chance to play hockey at a high level. After an incredible season of hockey, the Bisons are gearing up to defend their national championship. That can be helped by your donation to the Bison Women's Hockey Endowment Fund. If you're looking for something to invest your hard-earned dollars in that's socially responsible and goes to helping others, an investment in a young woman's education would do a world of good. When one thinks of pirates in the general sense, there might be a few images that come to mind: ships, the Jolly Roger, and, of course, treasure. 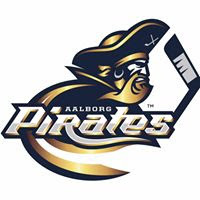 Most of the treasure that pirates sought was crafted from gold, and as you can see in the lede image, there's a distinctly gold hue to the Aalborg Pirates' logo today! 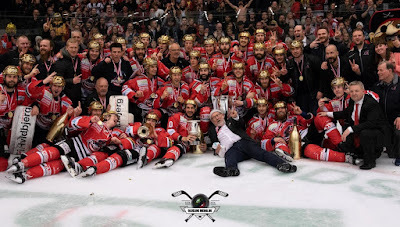 The Aalborg Pirates, after establishing a 3-0 lead in the Metal Ligaen championship over the first-overall Herning Blue Fox, wrapped up a magical season by capturing the Danish league's top trophy today! It didn't come easy by any means after Herning put up a heckuva fight to stay alive, but the Aalborg Pirates claimed the spoils with their victory today! If there's one thing Beans and I stress on The Hockey Show when talking about the playoffs, it's that closing out a series is the hardest of the four games that a team has to win. The team that is facing elimination knows there's no tomorrow, so they're playing desperate hockey to keep their season alive. Being on the precipice of a win, as I wrote last week, means that you're one step away from glory, but no one will simply let you walk on them to said glory. Aalborg needed to take that last step past a team in the Herning Blue Fox that simply weren't ready to call it a season yet. Game Four in Aalborg saw the Blue Fox do something they hadn't done all series to that point - go up by more than a goal on the Pirates. Midway through the second period, Herning held a 3-0 advantage of Aalborg as they were taking everything they had to the Pirates' doorstep. Aalborg did battle back in getting goals from Kirill Kabanov late in the second period and Olivier Hinse early in the third period, but Herning simply would not break in Game Four as they skated to the 3-2 victory to make the series 3-1. Game Five returned to Herning where the Blue Fox followed the same game plan in running out to a 3-0 lead after 30 minutes of play. Aalborg once again dug their heels in and found goals from Peter Quenneville and Clay Anderson in the third period to cut the deficit to 3-2, but a pair of late goals from the Blue Fox sealed a win for the home team as they defeated Aalborg 5-2 in to cut the series deficit to 3-2. I don't know how the Pirates were feeling at that point, but I'll admit a modicum of worry had crept into my hopes for a championship. Game Six went today in Aalborg, and there was a party-like atmosphere in Cool East Arena as the Pirates and Blue Fox met for the sixth installment in this series. Herning was looking to continue their trend of jumping out in front early and building a three-goal cushion while Aalborg was looking to jump out to a lead they wouldn't relinquish in eliminating Herning. As you can probably discern from the title of this article, the result was favorable for the Pirates-clad team. Clay Anderson opened the scoring just 2:52 in, and Peter Quenneville made it 2-0 just 1:30 later. Less than five minutes in, and Aalborg was up a pair of goals on home ice. That doesn't mean a lot that early into the game, but the crowd of 5000 fans was roaring and pushing the Pirates to score more. While no additional goals would be found in the first frame, Aalborg held a 14-5 advantage in shots and were up two goals in the first intermission. Things got a little better for Herning as they regrouped in the intermission to see Jan Dalecky beat Tadeas Galansky just 4:14 into the second period to cut the deficit to 2-1. Again, a little bit of worry had to have crept into the fans - it did for me! - as the Blue Fox looked to equalize. However, leave it to former Brandon Wheat Kings captain Peter Quenneville to put that worry to rest as he notched his second of the game at 13:49 to make it a 3-1 advantage for the Pirates! Through 40 minutes of play, the Pirates continued to hold a two-goal lead and were controlling the play by leading 21-16 in shots. After Herning's Branden Gracel took a hooking penalty 3:34 into the final frame, the first nail was driven into the Blue Fox's coffin as Martin Lefebrve scored on the power-play at 3:56. With a 4-1 lead, Aalborg had everything going their way as they continued to deny Herning opportunites on Galansky while playing a tight defensive system. Herning began to open up their offence a little more in the late stages, and Brandon Reid's squad pounced on the opportunity to put this game out of reach when Julien Jakobsen found netting behind Herning's Simon Nielsen at the 10:03 mark to make it a 5-1 game. Jakobsen would ice it with his second goal of the game at the 18:37 mark, and the celebration was on in Cool East Arena as the Aalborg Pirates claimed victory as the best Metal Ligaen team this season with their 6-1 victory! There have been photos posted to the Aalborg Pirates' Facebook page, and I'm happy to be able to present a few of them here. From what I've been able to gather, head coach Brandon Reid became the youngest head coach in the history of the Metal Ligaen to lead his team to the championship. Brandon's efforts over the last three seasons have played a large part in the success of the Pirates, and his recruitment of some key players - Quenneville, Kabanov, Lefebvre, Pierre-Olivier Morin, and Olivier Hinse - really set this Pirates squad on the right track. I'm not saying it all started with Reid as there were some good players in Aalborg before he got there, but he found the right players to bring everything together to erase 37 years of falling short of the goal. To the fans of the Aalborg Pirates and the city of Aalborg, congratulations on your championship! You deserve this as much as anyone else after supporting this team so strongly for the last few years that I've been paying attention, and I hope you revel in the spoils! 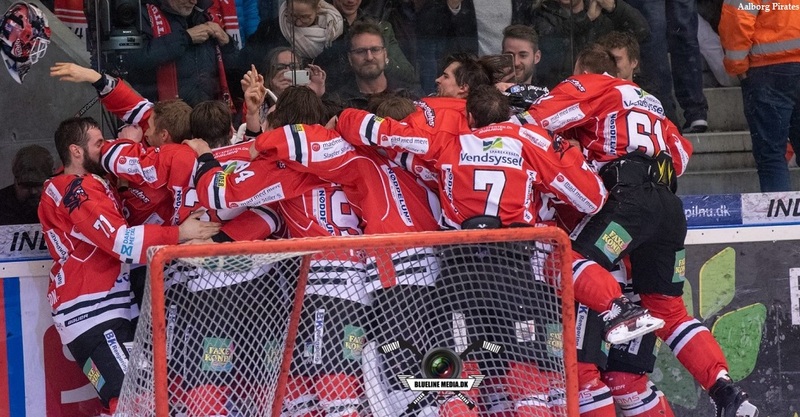 To the Aalborg Pirates team, staff, and management, this championship is the result of hard work, incredible effort, and dedication to getting better over the last three seasons. Without the effort, teamwork, and pursuit of excellence shown by everyone involved with this franchise, we might not be talking about this double-Cup season! Finally, to Brandon Reid, Jessica Scott-Reid, and wee Clover Reid, you guys are beyond deserving of this after watching all the work and passion go into this from all of you. Brandon, you've worked so hard to make this team into a champion, and you can truly say "I did this". Jessica, your support of Brandon in his dream and in these efforts has never wavered, and I can truly say that you're the MVP of these last three seasons. And let's not forget Clover's efforts in cheering on Dad as he spent time on the road and at the rink. To see you achieve your goals and dreams this season has been inspiring and truly awesome, and I'm fully appreciative of you keeping me informed along the way! And with that, we'll close the book on the 2017-18 Metal Ligaen season! The Aalborg Pirates are your 2017-18 Metal Cup champions and your 2017-18 Prince Henrik's Cup champions! Congratulations to the Aalborg Pirates on winning every Danish hockey trophy this season! There have been numerous people who have suggested that one of the big-spending Russian clubs would win this year's KHL Gagarin Cup, but it turns out that no one told Andrei Markov, Rob Klinkhammer, Danis Zaripov, or Anton Lander that the fix was in. Ak Bars Kazan went out and beat CSKA Moscow in five games after CSKA did the KHL a favour by eliminating SKA St. Petersburg in the semifinal. If someone in the Russian government was trying to fix the Gagarin Cup Playoffs, I'm guessing he's on the unemployment line right now. 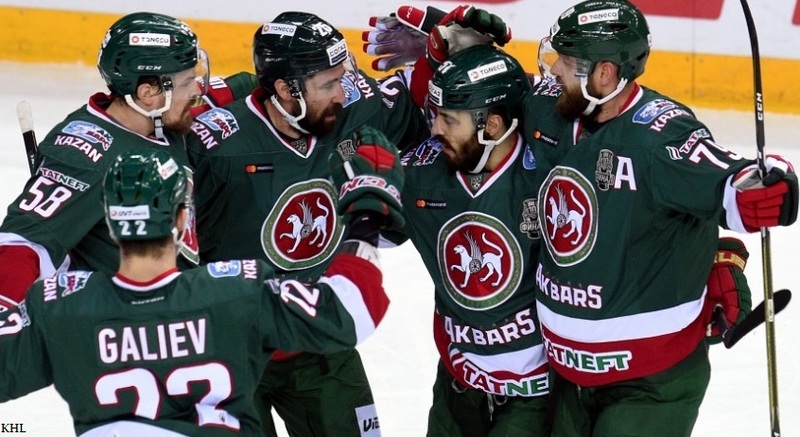 Game One went in favour of Ak Bars Kazan as they won 2-1 on the strength of a pair of Stanislav Galiyev goals. Game Two was settled by the same score as Justin Azevedo scored on the power-play and Rob Klinkhammer potted his first game-winning goal in the second period. Note that foreshadowing. Game Three saw CSKA cut the series deficit in half as they earned a 3-2 win in overtime. Anton Lander and Stanislav scored late in the first to give Kazan the 2-1 lead through 20 minutes, but a second period goal by Greg Scott tied the game. The game would end at the 12:25 mark of overtime after Kirill Petrov dented twine, and CSKA trailed in the series 2-1. Game Four saw Justin Azevedo open the scoring in the first period, Anton Lander made it 2-0 in the second, and then Lander iced the game late in the third period when he scored an empty-net goal to make it a 3-1 victory for Ak Bars Kazan, putting them up in the series 3-1 over their Moscovian rivals. That would take us to yesterday's Game Five where CSKA had to win or their season was over. The first period was a scoreless frame that saw CSKA lead in shots 9-3 thanks in part to a late power-play after Kazan's Albert Yarullin was whistled for interference. After 20 minutes, we'd move to the second period looking for our first goal. The second period saw CSKA really pour on the pressure thanks to a pair of penalties to Yarullin for holding and tripping, respectively, midway through the period as they held a 25-7 advantage in shots through 40 minutes. A late high-sticking penalty to CSKA's Mikhail Pashnin would carry over into the third period, but we'd see zero goals scored in the middle frame as Ak Bars Kazan and CSKA Moscow went to the third period tied 0-0. That high-sticking penalty to Pashnin? That would be the break that Kazan needed. Just 1:06 into the third period, Rob Klinkhammer's deflection off an Anton Lander shot found room past Lars Johansson while on the power-play, and the Snow Leopards were up 1-0! Kazan held the edge in shots in the period with a 9-8 advantage, but goaltender Emil Garipov stood tall in the Kazan net as he denied all 33 CSKA shots he faced to pitch the shutout as Ak Bars Kazan earned the Gagarin Cup with the 1-0 win in Game Five! It's the first Gagarin Cup since 2010 for Kazan when they won the first two Gagarin Cups in KHL history. Officially, they are the most successful team in the KHL's short history with three championships in ten seasons! Head coach Zinetula Bilyaletdinov joins Oleg Znarok as the only coaches in KHL history with three championships on their resumés while Danis Zaripov now has five Gagarin Cup championships to his name in his ten seasons in the KHL. That's pretty impressive! Of the notable names one might recognize of the Gagarin Cup champions, Andrei Markov, Alexander Svitov, Alexander Burmistrov, and Jiri Sekac join the aforementioned Justin Avezedo, Rob Klinkhammer, Anton Lander, Stanislav Galiyev, and Danis Zaripov. Zaripov, if you'll remember, was banned for two years from international play by the IIHF for doping in the 2014 Sochi Olympics, but appealed and has his suspension reduced to six months. That reduction in his ban allowed him to return to the KHL and help Kazan win the Gagarin Cup - an almost surreal result considering he'd still be on the sidelines if he had lost his appeal. Forward Justin Azevedo was named MVP after potting 28 points in this year's playoffs, and it's his first Russian championship in three tries after missing out in 2014 and 2015. He's the first non-Russian player to be named as playoff MVP, and he certainly has earned the recognition after his many years of service in the KHL. As it is, the win by Kazan was seen as an upset as CSKA boasted eight gold medal-winning Russian Olympians in their lineup compared to zero in Kazan's lineup. Granted, Rob Klinkhammer did win a bronze medal in PyeongChang, but when it came to the fix of having an Olympian-laden squad winning the Gagarin Cup, there were some who whispered that one of CSKA or, preferably, SKA St. Petersburg was to win the championship to validate the Russian Ice Hockey Federation's efforts this season. Instead, a team of former NHL players mixed with some solid Russian talent won 4-1 in a series against Amur Khabarovsk, downed Metallurg Magnitogorsk 4-1, and swept aside Traktor Chelyabinsk in four games to arrive in the final against Russia's most storied club in the Red Army team. CSKA, who hasn't won the league championship since their heady Soviet days, missed out on their second opportunity in three seasons after they fell in the final in 2016 to Magnitogorsk. But it was not to be for CSKA Moscow as the Snow Leopards from Kazan played nearly flawless hockey in winning all three games at home in the final by one-goal margins. They were the top team in the Eastern Conference, but they were the clear underdogs entering the final as they finished some 24 points back of CSKA, but Ak Bars Kazan stands atop the mountain today thanks to their solid team play, some key contributions, and an incredible effort in the face of what seemed like incredible odds. They sound like champions to me! For the first time in 31 years, the Winnipeg Jets can state that they're off to the next round. That next round just happens to take place for potentially four games in the defending Western Conference champion's city of "Smashville" as the Nashville Predators will meet the Winnipeg Jets. There's a lot to be excited about if you're a fan of both these teams, and, if you're the media, you seem to have a lot to whine about when it comes to these teams meeting. We'll get to the second part of that statement in a bit, but there should be a lot of eyes on this series as these two divisional powerhouses clash to see who is the best of the Central Division! It took Nashville a little longer to dispatch the feisty Colorado Avalanche and their carousel of goaltenders than one may have thought. I predicted the series would be closer than most gave Colorado credit for, and it seemed like upstart team from Denver wasn't about complaining when Semyon Varlamov was ruled done for the season prior to the playoffs starting. Instead, they turned to Jonathan Bernier who was very good in the Mile High City this season, and he led the charge against a Nashville team that seemed a wee bit too overconfident in their approach to this series. 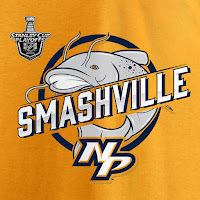 In the first three games of the series that saw Nashville open the series at home, the Predtaors surrendered the first goals at 6:36, 2:34, and 1:50 in those three games, respectively. There seemed to be a refocusing of sorts as they took those deficits into the first intermission - a 3-0 deficit in Game Three - and came to life in the second periods of each of those games. The only problem? Winnipeg, who scored first in each of their five games against Minnesota, is a much better team defensively than the Avalanche are. Early deficits were a death knell for the Wild against the Jets, so Nashville will need to be better in the first ten minutes of this next series of games if they hope to eliminate the surging Jets. Goaltending will certainly be on a more even keel than what Jonathan Bernier and Andrew Hammond brought to the series. Neither played poorly, but neither are on the caliber of Vezina nominee Pekka Rinne. That will change when he looks 200-feet down the ice to the Jets' net and sees Vezina nominee Connor Hellebuyck standing in the blue paint. If Rinne continues to put up un-Vezina-like numbers of a 2.60 GAA and a .909 save percentage in this round, that will be more than enough to give the Jets' shooters confidence in scoring goals. While injuries certainly took their toll on the Wild lineup, Hellebuyck's 1.93 GAA is down from his regular season mark of 2.36 while his save percentage has remained consistent at .924. If this series comes down to goaltending, you'd have to give the nod to the more consistent goaltender right now as Connor Hellebuyck is outplaying his Vezina-nominee counterpart in Rinne. There will be all kinds of chatter about the defence corps used by these two teams, but there is a significant difference between the two teams in the opening round. 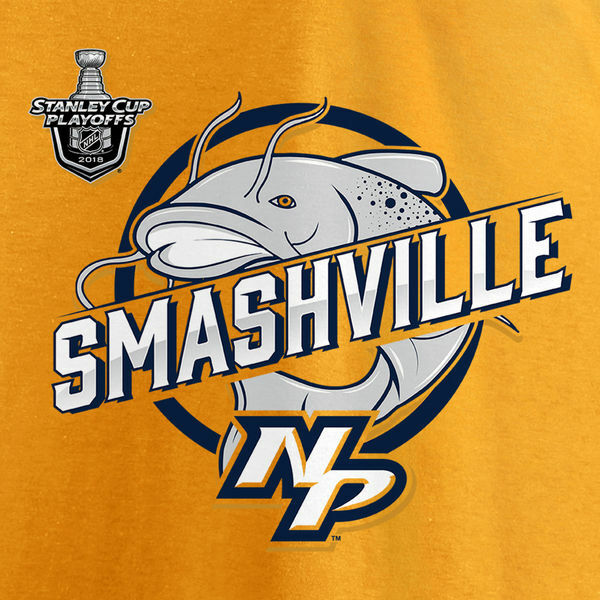 Nashville's blue line, while arguably one of the best in the league, generated just one goal on 69 shots while adding eight assists in the opening round of the playoffs. If you take Matthias Ekholm out of the equation, the five remaining defenders contributed just three assists - and yes, that includes PK Subban, Ryan Ellis, and Roman Josi. If the Jets can contain Ekholm in a similar fashion as they did to Matt Dumba, the rest of the Nashville blue line will have to be more productive if they're going to win. With how they played against Colorado, it's going to be hard to kick up a few levels against Winnipeg. That being said, Nashville's top four defenders were used twice as often as the bottom pairing of Alexei Emelin and Matt Irwin. Emelin averaged 11:28 per game while Matt Irwin checked in with 10:05 per game, so those two defenders are being used primarily to spell off the Big Four for short shifts. With the abuse that Winnipeg generously handed out to Minnesota in their defensive zone, can Ekholm, Josi, Subban, and Ellis withstand the punishment that Winnipeg will bring if they're playing no less than 22 minutes per night? Winnipeg is one of the top teams when it comes to hit through the first round of the playoffs, so it will be interesting to see how they handle the physicality. And before we continue, let's not fall into the fallacy that more hits are good either. Hits, or more specifically finishing one's checks, is vitally important in wearing another team down. Running around and chasing players who have the puck specifically to throw hits is not good because your team doesn't have the puck. Possession does play a key role in the playoffs, and throwing hits for the sake of making SportsCentre's highlight reel will almost certainly result in losses. Back to Winnipeg, and their defence corps has been far more impactful as they've contributed four goals on 67 shots and added eight assists. Even removing defensive leading scorer Dustin Byfuglien from the mix still yields four goals and three assists, so the contributions from the other six players who have slotted into the lineup have been good. Outside of Tucker Poolman, Winnipeg's regular six are playing between Joe Morrow's low of 16:34 to Dustin Byfuglien's high of 25:13, but removing those outliers sees the remaining four defenders in Trouba, Morrissey, Chiarot, and Myers skating between 17:20 and 22:28 on average per game. Fatigue in a long series can set in with the physical demands put on the body, but Winnipeg's bench management seems to be working out well as the team had a ton of jump in Game Five against the Wild. However, all of this examination means very little right now. The two teams are watching video, preparing for their opponents, and making sure they're of good health before engaging in what will be an extremely entertaining series. Media across the land are lamenting that the top two teams in the NHL will meet each other in the second round, but all of this whining is ridiculous. Nashville finished with the highest point total with 117, and Winnipeg followed with 114. This is indisputable, and both teams should be commended. But this is the second year in a row that it's happened. If Boston can win their series, we'd also have the third-overall and fourth-overall teams going head-to-head in the second round, meaning two of the top-four regular season teams will be out in the second round. Pump the brakes, though, and read this segment of the last line again with my bolded and capitalized words highlighting the most important part of the statement: two of the top-four REGULAR SEASON TEAMS will be out in the second round. Let that sink in as I wax poetic about why this is meaningless. Since 1986 when the first President's Trophy was awarded to the best finisher in the regular season, eight times has the winning team gone on to capture the Stanley Cup. Some quick math says that's a 25% success rate as only eight times in 32 years has that been done. The most recent team to do it was the 2012-13 Chicago Blackhawks playing in a shortened season, and the last team to do it in a full NHL season was 2007-08 Detroit Red Wings. In the last ten years, it has only been accomplished once. In the last ten years, the President's Trophy-winning team has only appeared in the Stanley Cup Final twice (Vancouver in 2011). In the last decade, only three of the President's Trophy-winning teams have made it to the conference finals (New York Rangers in 2015). For the remaining seven years, including this year, the President's Trophy-winning team has not advanced past the second round. Nashville could change that this season, but there's no guarantee they will. This lazy narrative of anger and fury over the best regular season team meeting the second-best regular season team is ridiculous once the regular season ends. Ask Washington what it meant to be the best team in 2015 and 2016 when they lost to Pittsburgh who was the fourth-best in 2016 and second-best in 2017. Or the New York Rangers in 2015 who lost in the Conference Final to fifth-best Tampa Bay after Tampa eliminated second-best Montreal in the second-round. Or Boston in 2013 when they lost in the second round to ninth-best Montreal while second-overall Anaheim lost in the second round to tenth-overall Los Angeles. The season rankings once the regular season is over are meaningless outside of who gets to play at home four times in a seven-game series. If the Jets happen to eliminate the Predators in this round, they not only advance to the Western Conference Final, but they also claim home-ice advantage for the remainder of the playoffs. To the victors go the spoils, and the winner of this series will claim home-ice advantage throughout the remainder of the playoffs. It doesn't mean that team is the best team in the NHL by any means. That's why they hand out hardware at the end of this tournament to determine which team was the best for the ENTIRE season, regular and playoffs combined. Regardless of the rhetoric from the media, this is going to be an outstanding series of hockey. Forsberg, Johansen, Subban, Josi, and Rinne against Wheeler, Laine, Scheifele, Byfuglien, and Hellebuyck. The Central Division has never been more hotly contested by two teams, and we'll see who moves on to play one of Vegas or San Jose in two weeks. If there's one thing that looms on the horizon for the NHL and NHLPA, it's another lockout. I know it's the NHL Stanley Cup Playoffs and I should be focused on those stories, but I have this sinking feeling that we're headed for another long and bitter hockey stoppage when the current CBA expires. Seattle is looking to get rolling, there are a number of teams who are building towards a better future, and there's a pile of individual achievements to celebrate, but that large shadow enveloping the horizon is closer than it may seem to be. Everyone talks about loss during the lockout. Owners are losing money, players aren't making money and losing time off their already-short careers, and fans complain about simply losing hockey. If there's one segment of the landscape we never mention, it's the loss for the sponsors of the NHL. We never really consider them because they can still market their products another way, but one particular group of sponsors seems to get hit really hard during a lockout: adult beverage makers. According to IEG research, the top-five most active marketing groups during hockey broadcasts were quick-service restaurants, auto manufacturers, medical, insurance, and beer producers as of 2015-16. Their spending on marketing during NHL broadcasts was up "6.7 percent from the previous year", and totaled some "$477 million in the 2015-2016 season". As per IEG, "Anheuser-Busch replaced Enterprise Holdings as the most active non-endemic sponsor" - the industry term of non-core brands on which the sports industry relies upon - so it would be fair to say that beer marketing money plays a large part in the total marketing dollars spent during NHL broadcasts, and Anheuser-Busch had 71% of the league's teams broadcasting and showing marketing messages for them. 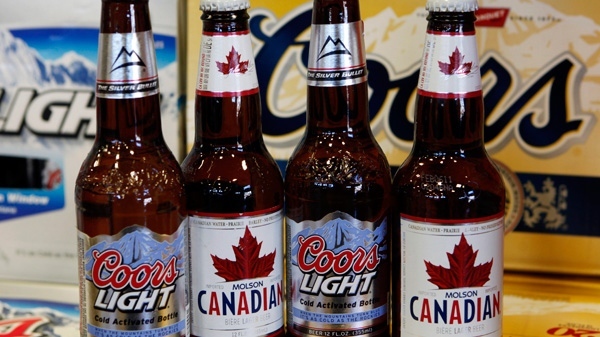 In Canada, we'll go back to 2012 during the last NHL lockout where Molson Coors, the Montreal- and Denver-based brewer, saw cold weather sales of their products virtually disappear when the NHL decided to go AWOL. "Whether it's people not actually physically going to the venues and consuming there, consuming in venues around the outlet before that, or indeed having NHL sort of parties at home, all of those occasions have disappeared off the map and you just can't replicate them," CEO Peter Swinburn told The Canadian Press in November 2012. Swinburn's right when stating that there is really nothing else that can replace the NHL in Canada in the winter months. The NBA's Toronto Raptors are more of a regional draw for southern Ontario, the NFL certainly has the same fans, but not the same marketing tie-in that beer sales have had with NHL teams, and both Major League Baseball and Major League Soccer follow the same course as the Raptors in that they're extremely regional. The NHL's affect on Molson Coors' sales is pretty clear when it comes to the importance the NHL plays in getting people to consume their product. Swinburn told reporters "that once the lockout ends, Molson Coors will seek financial compensation from the league over the negative impact that a lack of games has had on the hockey league sponsor" and that will help to recoup some of those lost sales, but it never fully makes up for what could have been a solid increase in sales year over year had the NHL simply remained on the ice. When you consider that Molson Coors beat expectations the prior year, there was hope their reported $375 million deal with the NHL would continue to see growth, especially north of the border. Hockey was supposed to be a major driver of that growth, but share prices were already falling just two months into the last lockout. So why should this concern you and I as hockey fans? Local bars, taverns, and watering holes feel that pinch more than the breweries do. Your favorite place to catch the game would see a loss in sales on what normally would be game nights, and that's contributing to Molson Coors seeing less product being sold. Local watering holes in Canada rely heavily on the 82-game NHL schedule to help boost sales by broadcasting the games. There's usually a beverage deal during the game that coincides with one of the NHL's beverage sponsors, and as a result of these decisions everyone benefits. The watering hole makes money, the beer producers make money, and the NHL makes money via the sponsorship. The trickle-down of the economics would be felt hardest at the bottom where those watering holes rely heavily on walk-up traffic and regular patrons to keep their businesses afloat. CBC spoke with Winnipeg restaurant owner Tony Siwicki about the costs that he was forced to absorb after the NHL decided to lockout the players in 2012. Tony Siwicki of the Silver Heights Restaurant in Winnipeg said since the Jets returned last season, he has bought team gear for staff, hired extra security, and even purchased a bus to shuttle fans from his eatery to home games. "Now we've got all this money out that we … won't get back. We have to sit on it for, [in] the worst-case scenario, for another year," Siwicki said. "I hope they come to an agreement," he added. "A lot of people … rely on this kind of entertainment to make money, to survive, to support their families." While I appreciate that the NHL is a business on its own where financial stability is needed in order to keep it afloat, but there appears to be a major collision coming as the players are unhappy about shared hockey revenues and not playing in the Olympics while the NHL owners certainly don't want to share any additional monies they are required to share. With money being one of the key arguments to resolve in the upcoming CBA negotiations, this is more than likely going to be another ugly and prolonged work stoppage as both sides for every additional cent they can gain. I don't envy local business owners and Canadian brewery owners when talk of CBA unrest comes up. It means loss of business and loss of profits from normally ravenous hockey fans who indulge in their businesses and products. And while the NHL needs to get its house in order, the longer they ignore these negotiations the more hurt they're doing to their partners who make the games and players popular. While the CBA negotiations loom, some foresight would do the NHL a lot of good when it comes to helping out the people who do a lot of the groundwork in making the NHL the number-one sport in Canada. With their victory tonight, the Winnipeg Jets officially booked the second leg of their playoff journey as they dispatched the Minnesota Wild 4-1 in their series. Like the image to the left, I expect the bandwagon to start filling up quickly as more and more fans start cheering for Canada's most exciting team on ice, but, like the photo above, there are lots of seats on this bandwagon. The Jets showed off their depth in eliminating the Wild and will now have a few days for the bumps, bruises, welts, and cuts to heal as they prepare for one of Nashville or Colorado. If you aren't excited for these Jets, you may want to see if you still have a pulse! Let's go to the Game Five highlights, compliments of Rogers Sportsnet and, mostly, the Winnipeg Jets. Jacob Trouba's goal just 31 seconds into the game broke a Winnipeg Jets franchise record for fastest playoff goal from the start of the game that was previously set at 53 seconds by Randy Carlyle back in 1995. Brandon Tanev now leads the Tanev family in NHL Playoff goals. Brandon has a total of one; his older brother Chris, who plays for Vancouver, has zero. After Minnesota anthem singer John deCausmeaker made his plea before Game Four about letting Winnipeg hear the passion of Minnesota fans, the Minnesota Wild scored a total of zero goals over the next six periods in being eliminated. The sellout crowd announced at 15,321 inside BellMTS Place set a new volume record at one point during the night, registering at 114.3 decibels. That's a level 16 times higher than 70dB, and is 4.3dB higher than the average human pain threshold when it comes to sound. It would be equivalent to standing within one meter of a car whose horn is blaring. The Jets haven't lost a game at home, including three in these playoffs, since February 27. It was 31 years and five days since Winnipeg saw their pro hockey team advance to the second round of the NHL's Stanley Cup Playoffs. Preliminary estimates had the crowd outside BellMTS Place numbering over 30,000 (edit: the final number was approximately 36,000). In the end, the four first-period goals scored by the Jets paced them to the 5-0 win in Game Five, and the game ended with this sequence. Get your boarding passes ready, folks. The second leg of this incredible flight is now accepting passengers, and you're welcome to join Jets fans in this fun and exciting spring. The Hockey Show, Canada's only campus-produced radio show that strictly talks hockey, is back tonight with the first and second of what will eventually be fifteen exit interviews from Survivor: NHL Playoffs sponsored by Lay's and their Show Your Emotions contest. As you're probably aware, both Los Angeles and Anaheim were eliminated in sweeps by the Vegas Golden Knights and San Jose Sharks, respectively, as the second-round Pacific Division matchup is now set. Like we always do, we'll get in contact with those Survivors to let them know that their Survivor: NHL Playoffs contest is over. Before we do that, though, let's check the board! As you can see, both Los Angeles and Anaheim have been made transparent and the names associated with them - Barry and Amy - have been written in gray as they will now fade to the background in Round One. Barry and Amy are due up tonight for their exit interviews, so tune in for those! Tonight, Teebz and Beans dig into Game Five here in Winnipeg on Friday without Josh Morrissey in the lineup and how that will affect the Jets, the loss of Zach Parise for the Wild, the Penguins-Flyers series and why Pittsburgh might just three-peat after all, and we'll touch on the other series and their situations. We'll dig into the Aalborg Pirates of the Metal Ligaen being up 3-0 on the first-overall Herning Blue Fox in the final, the Calgary Flames dismissing head coach Glen Gulutzan, Paul Maurice's shout-out to head coach of the Bisons women's team in Jon Rempel, and we may touch on some more changes to Bisons hockey broadcasts again as there have been some exciting developments behind the scenes! All of this happens tonight at 5:30pm CT on UMFM! How do I listen, you ask? The easiest way is for you to download the UMFM app on your phone or tablet. It's literally the easiest and most convenient way to listen to any of UMFM's great shows any time of the day, so go get it! Just follow this link on your iDevice or this link for your Android device and get the UMFM app! It's never been easier to tune into The Hockey Show or UMFM! Download the UMFM app today, and don't miss any of our great programming or shows! Of course, you can do the radio thing at 101.5 on the FM dial and you can always listen online via the UMFM website! Tonight, Teebz and Beans talk suspensions, lineups, injuries, coaches, Pirates, Penguins, and more only on 101.5 UMFM, on the UMFM app, on the UMFM.com web stream! I know there's always talk of the bond or fraternity among those who hold the same positions, but I was always under the impression that these people never really crossed over too often into other leagues. 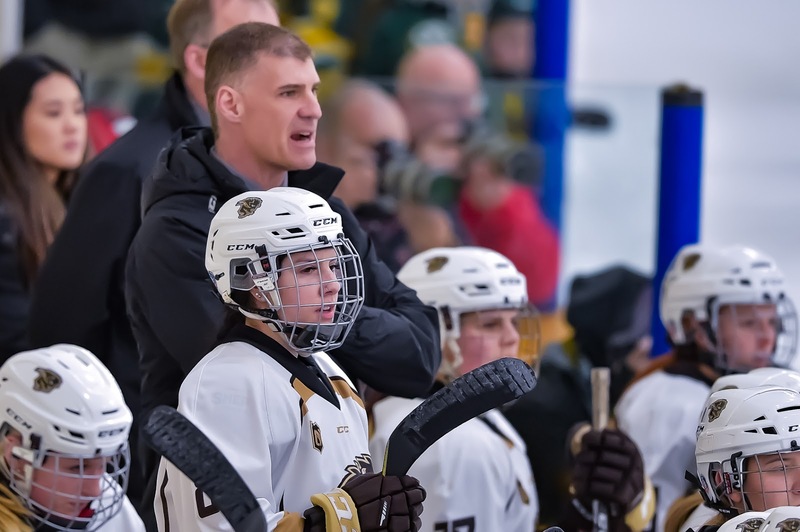 Jon Rempel, head coach of the Manitoba Bisons women's hockey team, is a well-respected coach among his peers in Canada West and certainly at the national level after winning the U SPORTS Coach of the Year award this spring. I wasn't aware, however, that he and Winnipeg Jets head coach Paul Maurice had been chatting over the last few weeks with the Jets getting ready for the playoffs. Apparently, though, they have! As Paul Maurice took to the podium yesterday to address the media prior to Game Four in the Jets-Wild series, he was asked a very specific question. What surprised was that Paul Maurice gave a very specific response, and it was pretty incredible to think that he mentioned Jon Rempel and something Jon had mentioned about his Bisons women's hockey team this year. Have a watch of the press conference as Maurice singles out what Jon told him. "Thecloser you are, the more you're willing to sacrifice for that person." Great shout-out to Bison women's hockey from #NHLJets coach Paul Maurice as he discussed close-knit groups and teamwork today. Winnipeg takes on the Wild in Game 4 tonight. The transcript of what Maurice said is posted here. It's funny that Paul Maurice would bring this up because it's something that Jon Rempel said he's really worked on this season with the ladies. He stated that he used to go into the room and yell and scream and rant and rave, hoping that the message he was sending would sink in with the players. Where Jon made a revelation is that while that style of coaching may work for some, it does more harm than good for others. Instead, Jon has been a lot more positive in his messages, worked on getting to know the players a lot better, and encouraged the players to get to know one another so that he can get the best out of them day-in and day-out. You can see real friendships had formed on the Bisons squad this year, and they had themselves a record-setting year in almost all aspects of their season. Sounds kinda like how the Jets season went, right? With the Bisons winning the U SPORTS National Championship this season, I'd say that approach has worked pretty well for Jon. The women on the Bisons team literally bled for one another at times this season. They worked doggedly at times to try and pick a teammate up who was in a slump or having an "off game". There wasn't a time this season, having been around the team, where you wondered if they weren't willing to leave it all out on the ice because if someone's night was going poorly, three other women usually rallied that player back to her usual self. Aren't we seeing that from the Jets right now in these playoffs? I truly believe in what Paul Maurice said about a close-knit group sacrificing more for one another than a group who may not have those tight relationships. Team-building exercises are one of those things that some players may roll their eyes at, but those exercises aren't done to fill time. They're put in place so teammates get to know one another, chat with one another, and build those friendships with one another. If everyone looks out for everyone else, a team is stronger together. The Bisons are living proof of that, and I tip my cap to Paul Maurice for giving some credit to Jon Rempel. He didn't have to drop Jon's name in the press conference, but Paul is a coach and he's giving credit to his brother in the coaching fraternity who has had some success. It takes some courage and humility to publicly recognize someone else whose name may not be familiar to NHL reporters, but Paul Maurice did a classy thing for a classy guy in Jon Rempel who may have found the top secret to any team's success. I've never been a slave to the refresh button on my internet browser. I've bid on stuff on eBay and whatnot, but I'm not the guy to sit there and pound away on a refresh button until time runs out. I almost became that guy today as I sat watching the updates on the Metal Ligaen website as the Aalborg Pirates traveled to Herning to meet the Blue Fox in Game Three of their best-of-seven championship series. With the Pirates leading 2-0 in the series in what would be a pivotal Game Three, I needed the updates faster than they were being printed on the website! Goals early in the second period from Martin Lefebvre and Jeppe Jul Korsgaard put Aalborg out in front 2-0 just 5:07 into the middle frame, forcing Petri Skriko to use his timeout to gather his troops and have them refocus as the Pirates absolutely dominated the opening minutes of the second period. Things settled down for the remainder of the period, but it was clear that the better team was on the visiting side of the scoreboard in the second stanza. Things were rolling along nicely until Herning's bench decided to run a fire drill by sending too many men over the boards seven minutes into the third period, and the Pirates would make them pay for that impromptu exodus from the bench. Peter Quenneville struck at the 7:37 mark on the power-play, and it was 3-0 for the Pirates in what was as close to a must-win game for Herning if they wanted to stay in the series. While Herning's Branden Gracel would find the next with just over four minutes to play, this game was never in doubt as the Pirates won 3-1 to extend their series lead to 3-0. Before we start handing out championship trophies prematurely, let's dig into the numbers as these two teams prepare for Game Four in Aalborg's Cool East Arena on Friday night. The Pirates, in these Metal Ligaen playoffs, are 7-0 on home ice while outscoring their opponents 26-11 in those seven games. The closest game was a 5-4 overtime game against Esbjerg in the last series. Every other game has had a two-goal difference or more including a 3-0 win against Herning two days ago. I don't want to jinx anything that's happening here, but it might be time to get those cases of champagne chilling on ice if the trend at home continues for the Aalborg Pirates. The second-best team in the Metal Ligaen has now won three-straight games over the best team in the Metal Ligaen by a combined score of 10-2. The highest scoring team in the Metal Ligaen this season has been held to one goal on home ice in two games and was shutout on the road. Herning, who rolled through the Herlev Eagles and Rungsted Seier Capital by 4-1 series finals, has yet to even lead in a game in the final as Aalborg has been entirely dominant in three games. To suggest that things will get easier on Friday night for Herning with Aalborg playing at home and looking to end 37 years without a Metal Ligaen Championship to their name would be entirely unfathomable. The hole that Herning has dug for themselves in this series is more closely resembling a grave right now as Aalborg continues their work-like effort in shoveling dirt on top of Herning. The two goals that Herning have scored have both come in the third period of the game after Aalborg has built a comfortable lead. Again, they were shutout in their most recent visit to Aalborg two days ago, so we're talking about a Herning team who needs every ounce of desperation to try and extend the series, but will walk into an arena where they have yet to light the lamp in the playoffs. Ouch. Tadeas Galansky has stared down the high-powered offence of the Herning Blue Fox and laughed. Ok, he hasn't literally been laughing, but he has been everything and more that Brandon Reid has asked and expected from his goaltender. In the final, Galansky is sporting a 0.67 GAA and a .972 save percentage - numbers that are almost inconceivable when you consider the offensive talent and scoring that the Blue Fox boasted this season. Branden Gracel has been in both goals for the Blue Fox thus far, but the likes of Toni Kalella - one assist - and Lasse S. Lassen - no points - seem to be caught in suffocating defence that the Pirates are playing. Right now, if you're head coach Petri Skriko, there is no shortage of frustration after watching your amazing regular season in which you finished fifteen points ahead of the rest of the field vanish like a chest full of treasure at the hands of the skillful Pirates. Friday night is going to be a party that the city of Aalborg hasn't seen for a while as I expect a capacity crowd to be inside Cool East Arena as they look to erase 37 years of "next year" as the Pirates attempt to sweep the regular-season champion Herning Blue Fox out of the playoffs. At the end of the night, Herning will have had to played one helluva game to escape Aalborg for a Game Five, but everything we've seen in this series thus far has suggested that the Pirates will probably lay waste with another blitz of offence to the Blue Fox defence as they siege the goal once more. I'm not saying to get your eye patch out, but this could be the best Friday night to be a Pirate! 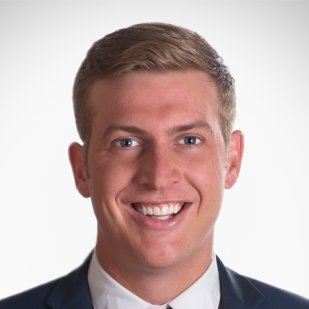 This horrible profile picture from the Fox 17 affiliate in Western Michigan is of meteorologist Garry Frank. Garry Frank works in Grand Rapids, Michigan where the AHL Griffins play, but this post has nothing to do with hockey and everything to do with Garry Frank because I can't stop watching him blow up on his co-workers. Honestly, I think everyone has one of those days at work where you just get fed up with everyone's negativity, and you lash out at those who are doing the complaining about every little thing. I know I've done it. The only difference? Garry Frank decided that enough was enough and did it on live TV! Every time I watch this clip it makes me laugh. Here is Garry Frank delivering the weather - or something like the weather - while dealing with his co-workers' complaints about the cold and winter-like temperatures in Grand Rapids. Enjoy! Priceless! Good on you for calling them out, Garry! Happy Monday, everyone! 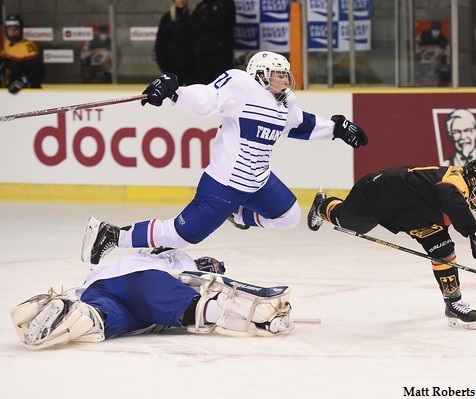 While this photo of France's Lea Parment flying over goaltender Caroline Baldin may not instill much confidence in most, I can assure you that French hockey fans should be thrilled as the French squad used home-ice advantage in Vaujany over the last week to win the 2018 IIHF Ice Hockey Women's World Championship Division I Group A! What does that mean, you ask? Well, their win will see the French side promoted to the 2019 IIHF Women's World Ice Hockey Championship with the big teams such as Canada, the United States, and Finland for the first time in the program's history! It wasn't easy for the French side, but they have constantly improved over the years since France began participating in the IIHF Women's Ice Hockey Championships since 1999. They've seen players move all over the planet to improve, and that includes Canada when the University of Montreal was the home to Marion Allemoz! Allemoz moved to Canada when she was 23, helping Les Carabins win the 2013 and 2016 U SPORTS National Ice Hockey Championships. She now plays with Les Canadiennes de Montreal, and she'll see a lot of her Montreal teammates next season on the opposite side of the ice when France travels to Finland for the 2019 IIHF Women's World Ice Hockey Championship. The field is now set for next year's top tournament as none of the eight teams that participated in 2017 were relegated after the IIHF passed a motion to increase the field at the World Championships to ten tema. The Czech Republic, who finished eighth out of eight teams, would remain as the eighth-ranked team for the 2019 tournament, and they would be joined by two additional teams for next year's event. Japan had claimed one of those two spots after winning the 2017 IIHF Ice Hockey Women's World Championship Division I Group A tournament, and France claimed the second spot with their victory this weekend! France finished the 2018 IIHF Ice Hockey Women's World Championship Division I Group A tournament with four wins and a loss. After dropping a 2-1 game to Norway on Monday, France went on a tear to find themselves controlling their own destiny yesterday. Norway, the team they lost to, could have caused a multiple-team tie for first-place with nine points if Norway had won in regulation time and if France had lost in regulation time. When it came time for France to play Slovakia, it all was moot as Austria beat Norway 3-0 earlier in the day. That didn't mean France took this final game off, though, as they came and handed a beating to Slovakia in winning 7-1. Even if Norway had won, the regulation win by France would have ensured them promotion next season. One of the key players in the success of the team is goaltender Caroline Baldin, and she was instrumental in France's rise up the world rankings and on the international stage. Baldin has been playing in Switzerland with ZSC Lions Zurich, and she backstopped the Swiss team to a Swiss League gold medal this season over Florence Schelling's squad! To stare down one of the best international goalies of the game and come away with the gold medal is a huge accomplishment for the 25 year-old goalkeeper. She reflected on Saturday's win to Andrew Podnieks of IIHF.com. "I've made a lot of good friends with my club team in Zurich," she told Andrew. "They're like family to me. Even though they might play for Team Switzerland, that doesn't matter. For the moment, this win today is the biggest win of my life. But last year at the Olympic qualification, we came close to beating Germany, and really close to beating Japan, so tonight it was amazing to finally win." France knows they're going to in tough against the likes of Finland, Canada, and the US when it comes to next year's tournament. Heck, Russia and Sweden may also prove overwhelming to this upstart French squad. The point, though, is going to the tournament and using it as a measuring stick. Can they beat the Czech Republic? Can they measure up to Japan? Are they good enough to take a shot at Germany? All of these questions will be answered next year, of course, but France can certainly enjoy their victory today as they earned the right to skate alongside the world's best next year. For the record, Hungarian Fanni Gasparics was named the best forward in the tournament after leading in scoring with six goals and four helpers in five games. French defender Gwendoline Gendarme was named as the best defender and Norway's Ena Nystrom was named as tournament's top goalie. Austria finished as the silver medalists while Hungary captured the bronze medal. Next year's Division I Group A will feature virtually the same field as Austria, Hungary, Denmark, Norway, and Slovakia will return, and they will be joined by Italy who earned a promotion from the IIHF Division I Group B tournament. They're still a long way off from trying to compete for a medal at the top level of women's international hockey, but France has been invited to the dance after a lot of hard work. Here's hoping they'll continue that push and be part of the World Championships and the Olympics for a long time! 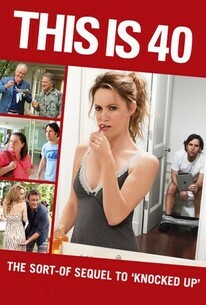 I was channel surfing after watching the Predators survive Game Two against the Avalanche, and Hollywood film This Is 40 was on one of the channels. It's not an overly phenomenal film by any means, but there is a portion of the film where the characters played by Leslie Mann and Megan Fox run into real-life hockey players playing hockey players at a club in the film. Starring Paul Rudd, the aforementioned Mann, and Fox, the story is a kind-of sequel to Knocked Up, but I personally think it should stand on its own. That digression aside, you may remember this scene due to its gross factor when Megan Fox asks the group of players if they have all of their teeth and then, well, it has to be seen. Oh, you want to see that scene? Ok, here it is. Appaearing in the scene are Scott Hartnell, James van Riemsdyk, Ian Laperriere, Matt Carle as they state they're from Philadelphia as they all were Philadelphia Flyers during filming in 2012. Wyatt Russell is Kurt Russell's son and he was a goaltender for the University of Alabama-Huntsville while Phil Burke is a Canadian actor who has no significant hockey notes on his resumé. Burke is on the very right and the first man to speak in the scene while Hartnell and van Riemsdyk stand on Russell's left and Laperriere and Carle appear on his right. Exit scene left. You might be wondering how the Flyers got into this movie. "There's a friend of mine in L.A. who told a PR guy in Philly they're looking for a guy without teeth for a small part. So I give them my name and if it works, it works," Laperriere told Andy Dudones of The Hockey Writers. "Sure enough, a month later we were in L.A. filming and Hartnell, JVR, and Carle were there with me. I was in the right place at the right time with no teeth." Laperriere actually put off dental work that he was scheduled to get so he could take that bridge of teeth with him to Hollywood to film the movie. In the end, his denture work will likely land him as the only person ever to claim that Megan Fox wore his teeth. Ironically, though, this wasn't Laperriere's first foray into movies as he played Boom Boom Geoffrion in a 2005 film about the legendary Maurice Rocket Richard. "I'm in for every experience," he told the Associated Press. "I don't want to be an actor, but it was fun to see how they do it behind the camera. Dancing with Megan Fox? None of you can say you did that." For a guy who is tough-as-nails on the ice, he has a certain charm in front of the camera. While he may not want to be an actor in his life after hockey, no one can take those experiences or the following image from Ian Laperriere. I'm not recommending to any readers out there to start putting their faces in front of slap shots like Laperriere did in 2010 that resulted in him losing most of his teeth, but I'd say he's done the best with the cards he's been dealt! Patrik Laine, Alex Ovechkin, and Steven Stamkos may have the most lethal one-timers in the NHL from the face-off circle today. I was involved in a discussion today about how the flex value of their sticks is the reason for the incredible acceleration that they get once the puck leaves their sticks, and I discovered that one of the people in the discussion had no idea what the flex number actually meant. While we all chuckled about this, it dawned on me that many people may not know the science that goes into a slap shot with a composite stick. Let's tackle that with a little help today, shall we? I'll be honest when I say that I still use a wood stick for my recreational hockey endeavors simply because I can't justify paying $100 for some fun, barely-competitive hockey. There are some guys who swear by the sticks due to their weight and flex, and I've always wondered why one would make that claim in a non-slap-shot league. Whatever the reason, several of the guys claim their 75-flex to be superior to the 85-flex and all the other flexes that teams have produced. But what exactly is flex and what makes it different from other flex values? Smarter Every Day dove into the science of slap shot down at the NCAA's University of Alabama-Huntsville, and the findings are actually pretty cool. Give this seven-minute video a watch, and you can wow your friends during this year's Stanley Cup Playoffs with your slap shot knowledge! Pretty cool, right? Yes, there's actual physics in that video, but learning physics while watching hockey is a pretty cool way to gain knowledge. Regardless of the learning, now you know what the flex values mean, you know that not all flex values are made the same, and you know how a slap shot actually accelerates despite the shooter striking the ice inches behind the puck. 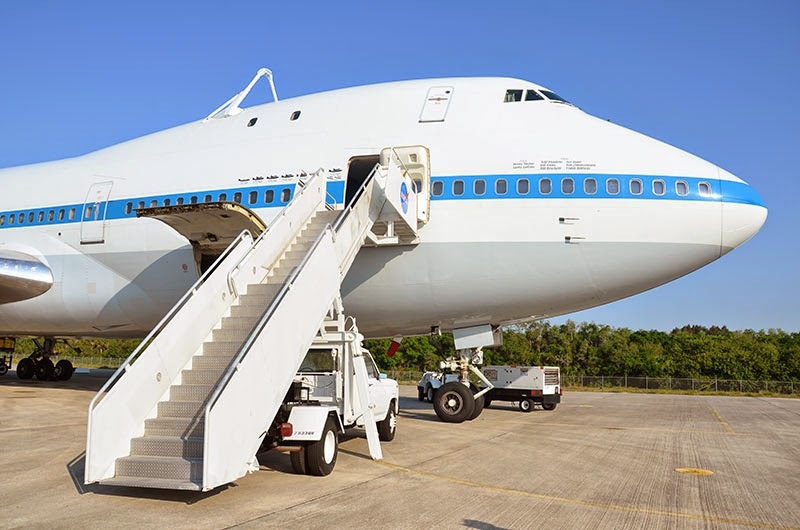 You can admit it: science is cool! The Hockey Show, Canada's only campus-produced radio show that strictly talks hockey, returns tonight with a number of things to talk about thanks to every hockey league on the planet being in playoffs, but we're going to kick off our show with a solemn few moments in honour of the Humboldt Broncos. There's more to talk about, but the extent of this tragedy is massive, and it certainly has affected a number of people both Beans and I know. Tonight, we will do a little work in honouring the Broncos right off the top of the show. Someone mentioned there was a hockey game in Winnipeg yesterday? 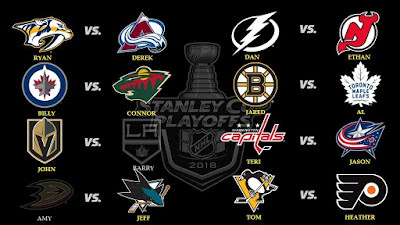 Beans and I will break down the opening games of the 2018 NHL Stanley Cup Playoffs on tonight's show as well as update everyone on who is playing whom in the Survivor: NHL Playoffs contest sponsored by Lay's and their Show Your Emotions contest. 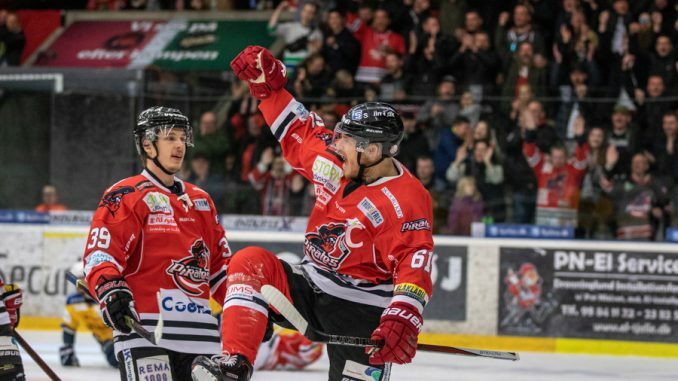 We have updates on the Metal Ligaen playoffs as Friend of the Show Brandon Reid tries to coach his Aalborg Pirates team to the final. We'll have a discussion about what to call the Winnipeg viewing party area as there are a few names that have been floated out on social media. There have been some changes for Bisons hockey broadcasts with TJ now calling Edmonton home, and we'll look at some of the changes happening there because there will be a ton of fan interaction next season. There's a lot to talk about tonight on The Hockey Show, so make sure you're listening at 5:30pm CT! Tonight, Beans and myself go through all the latest hockey news from the NHL, Denmark, and the University of Manitoba after we pay our respects to the Humboldt Broncos only on 101.5 UMFM, on the UMFM app, on the UMFM.com web stream! As Winnipeg emerges from it's well-known white winterscapes and brutal temperatures, the city has been gripped by the fever of the Stanley Cup Playoffs once more as the second-best team in the NHL embarks on its second foray into what is known as the "second season" in the NHL. 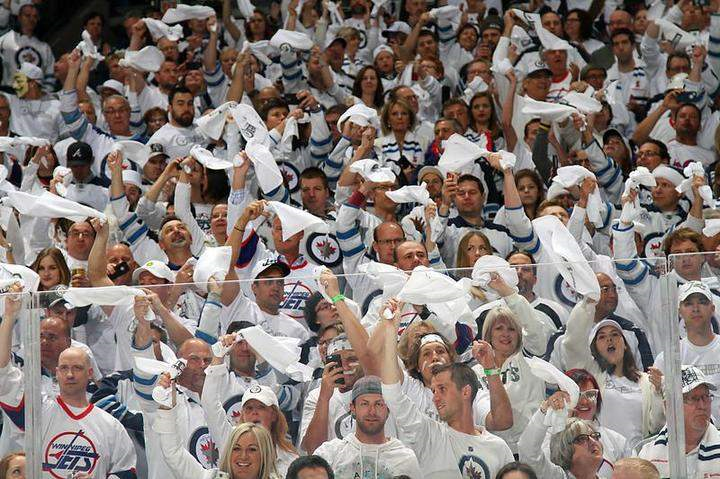 With those steps into the playoffs, the fans of the Winnipeg Jets will turn their fanaticism up several dozen notches as the Winnipeg WhiteOut will become reality for the Jets and whomever they welcome to BellMTS Place. It's a playoff tradition in Winnipeg despite the gaps between appearances, but it goes back much further than the 2015 series against the Anaheim Ducks. 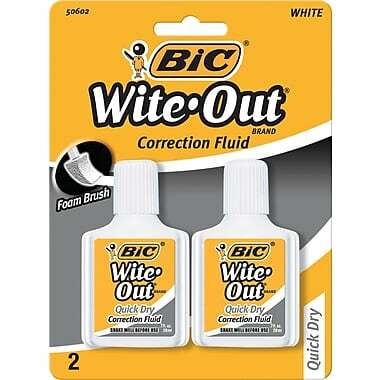 Rogers Sportsnet decided to dig into the famous Winnipeg WhiteOut to find its origins. Honestly, there are a few things in the following video that I wasn't aware of, so this is a pretty solid piece of video journalism by the Toronto-based sports network. As is said in the video, though, the WhiteOut is the link between two eras of NHL hockey in Winnipeg. The Minnesota Wild will be the first - of many? - teams to experience the WhiteOut in 2018, and I suspect that the sold-out BellMTS Place will be louder than ever before. Can the Jets shake off the history of the current franchise and win a playoff game, let alone a playoff series? We'll know that answer shortly, but I suspect the sixth man in the stands will be doing everything they can to push the Jets to new heights. 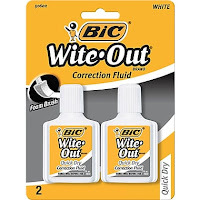 It may not be winter, but the forecast is calling for a spring of WhiteOuts in Winnipeg! It didn't come easy. No one said it would. It's always fun to have a seven-game series, but Game Seven means there is no tomorrow for one team. Today in Denmark's Metal Ligaen, the Aalborg Pirates and the Esbjerg Energy met in Aalborg's Cool East Arena with a berth to the final on the line, and, as you can see above, the Pirates are moving on to play for all the glory! Head coach Brandon Reid commented to me earlier today that he felt the series should have never reached a Game Seven situation, but it's where the Pirates found themselves entering the game tonight. We already know that the Pirates won, but this was a back-and-forth series. Aalborg won Game One 3-1, Game Three by a 5-4 score in overtime, and Game Five on the strength of a 4-2 score. Esbjerg won Game Two by a 5-4 score in overtime, Game Four by a 4-2 score, and 2-1 in Game Six. All the wins came on home ice as well, so there was hope the trend would continue tonight. Well, it certainly did, and the Pirates rallied to a 4-2 victory after falling behind 2-1 just 21 minutes into the game. Kirill Kabanov, the former New York Islander, scored a goal while Aalborg was on a five-on-three power-play to tie the game, and Mikkel Højbjerg added a goal in the latter portion of the second period and a second goal midway through the third period to put the Pirates up a pair with less than ten minutes to play. Esbjerg, sensing the impending summer vacation away from the rink, applied more pressure, outshooting the Pirates 12-7 in the final frame, but netminder Tadeas Galansky turned aside all twelve shots to ensure the Pirates advanced to the final with that 4-2 victory. Perhaps the best moment of the night, however, came prior to the puck being dropped. Brandon Reid, a former NHL, AHL, and QMJHL player, knows all too well about riding buses while following one's dreams, and he rallied the two teams to pay special tribute before the game to the Humboldt Broncos. 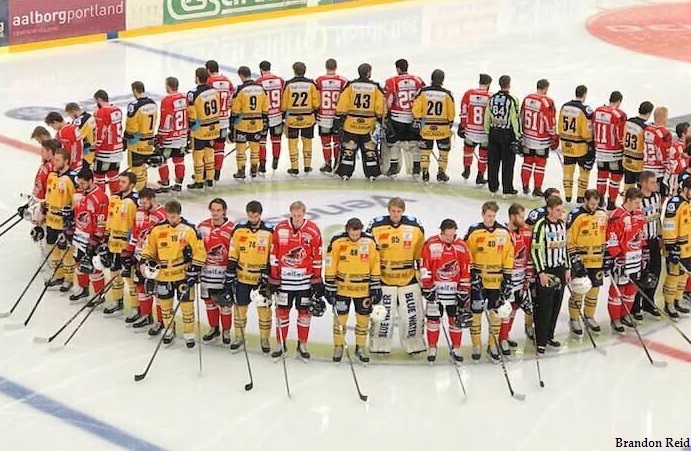 The teams stood for a moment of silence together around the center ice area like so many other teams have, but it just goes to show that even an ocean away there are teams and players who understand the magnitude of the tragedy and want to pay their respects to their fallen brethren. I commend Brandon for putting this tribute together while coaching a half-dozen time zones away from the tragedy. Looking ahead, the final will be the best versus the best as the top two teams in the Metal Ligaen will meet in the final. On the one side, you'll have the second-best team in the Aalborg Pirates who will face the best team in the Herning Blue Fox. So how do these two teams stack up against one another? Let's break this one down. Herning, as stated above, was the top team in the Metal Ligaen this season with a 30-8-8-4 record for 110 points. They scored the most goals in 193 - 21 better than the next closest team - and were second-best in the league in allowing just 124 goals. They easily had the best goal differential, and were the least penalized team in the league with just 492 total minutes in penalties. The Blue Fox put the third-most shots on net this season with 1536 shots recorded, but were only fifth-best when it came to shots-against with 1338 recorded shots on their netminders. This resulted in the third-best shot differential, and they averaged 30.72 shots-for per game while giving up 26.76 shots-against. Aalborg was the second-best team this season with a 28-15-4-3 record for 95 points. Aalborg was the third in goals-for with 156, but were a league-best in allowing just 111, resulting in the second-best goal differential this season. The Pirates were no strangers to the sin bin, ending up seventh of the eleven teams in total penalty minutes with 683. Aalborg recorded the fourth-most shots this season with 1518 recorded, but they were far-and-away the best team when it came to shots-against as they only had 1161 shots fired on their nets. Aalborg was 168 shots-against better than the next best team, and they had the best shot differential as a result at 357. This meant that Aalborg averaged 30.36 shots per game while only surrendering 23.22. Before we get to the individual statistics, the page with the goaltending stats for the league is currently down. I've linked the page above in case they resolve it, but as of the time of writing the page was kaput. Sorry about that. The coaches share a couple of bonds, so let's dig into that a little. Brandon Reid coaches the Aalborg Pirates while Petri Skriko returned to where he finished his career in Herning. Reid has been at the helm of the Pirates for the last three seasons while Skriko left a scouting position with the Calgary Flames to take over the Blue Fox this season. The Twilight Zone part of this coaching tandem is that Skriko spent 15 games as a Winnipeg Jet in his career while Reid played 259 games in Winnipeg as a Manitoba Moose, and both players suited up for the Vancouver Canucks for the majority of their time in the show. Cue the Twilight Zone music! Individually, Herning had the top three scorers in the league this season as Toni Kallela led the way with 64 points, Lasse S. Lassen recorded 61 points, and Branden Gracel had 60 points. Those three men finished in that same order when it came to goals scored by Blue Fox as well as Kallela had 25 markers, Lassen had 24, and Gracel notched 23 goals. Aalborg's Julian Jakobsen was the top scorer for the Pirates, finishing ninth in league scoring with 51 points. Olivier Hinse was eleventh in scoring with 47 points, and Mikkel Højbjerg finished with 44 points. Hinse was the top goal scorer with 20 markers while Højbjerg and Kirill Kabanov finished the season with 19 goals apiece. Head-to-head, the two teams played five games. Aalborg went 2-1-2 while Herning was 1-2-2. Herning went 1-0-2-0 at home, and scored 14 goals on home ice while giving up nine in the three games played at Kvik Hockey Arena. Aalborg was 2-0-0-0 on home ice, and scored 11 goals while giving up just three in the two games played at Cool East Arena. Overall, Aalborg outscored Herning 20-17 in the five games. Herning's power-play was good on 7-for-23 (30.4%) in the five games while Aalborg's power-play was 8-for-21 (38.1%). Both power-plays surrendered a shorthanded goal in the five games. The aforementioned Branden Gracel had a field day in the five games against Aalborg, recording two goals - one of which was on the power-play - and six assists against the Pirates. Jan Dalecky scored a pair, including a power-play marker, and added four assists while Toni Kallela also had two goals - yes, one was with the man-advantage - and three helpers. Overall, 14 Blue Fox recorded points in the five games. On the Aalborg side, Martin Højbjerg, who appears to be injured at the moment, led the Pirates with two goals, including a power-play game-winner, and four assists in the five games against the Blue Fox. His brother, Mikkel, recorded five assists, Nikolaj Carstensen had two goals and three assists, and Jakobsen had a goal and four assists. In total, 19 Pirates had points in the five-game series. In the end, though, all the stats mean nothing. We can try and decipher who will win based on these stats, but they play the games for a reason. Game One goes Friday in Herning before returning to Aalborg for Game Two on Sunday, back to Herning for Game Three on April 17, and Game Four will go in Aalborg on April 20. If more games are necessary, they will be scheduled as necessary. While the NHL Stanley Cup Playoffs are starting, the Metal Ligaen Playoffs are coming to a close, and it couldn't be a more exciting ending! Go Pirates!